I listen to Ryan Seacrest on the way to work, but I wish Adam Corolla still had a morning radio show. He’s my favorite. 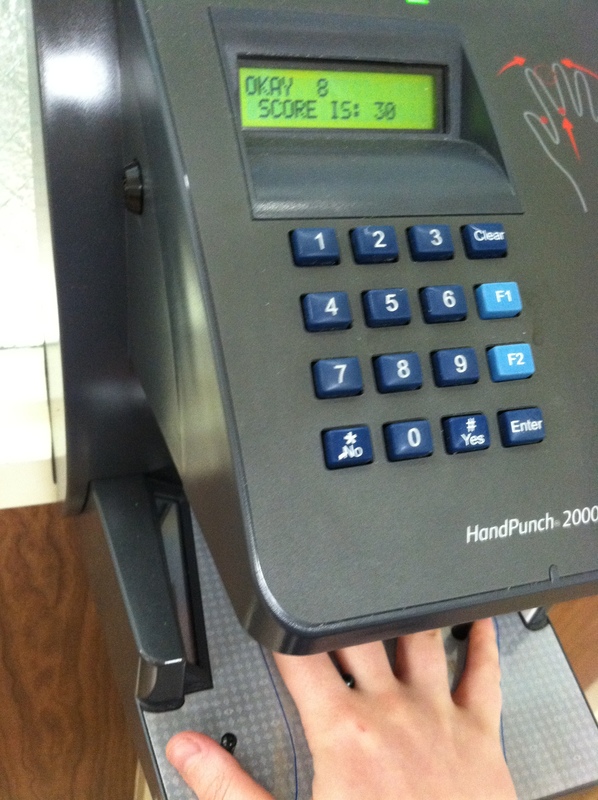 We have these fancy new hand scanners we use to sign in. So official. I sign in at 7:35am. The first thing I do when I get to my room is put up the new agenda on the board. It’s good for the students and good for me, so we all know what’s going on that day. Today was a professional development day, so each class is a little shorter and the kids get out early, but the teachers go to meetings until 3:15pm. 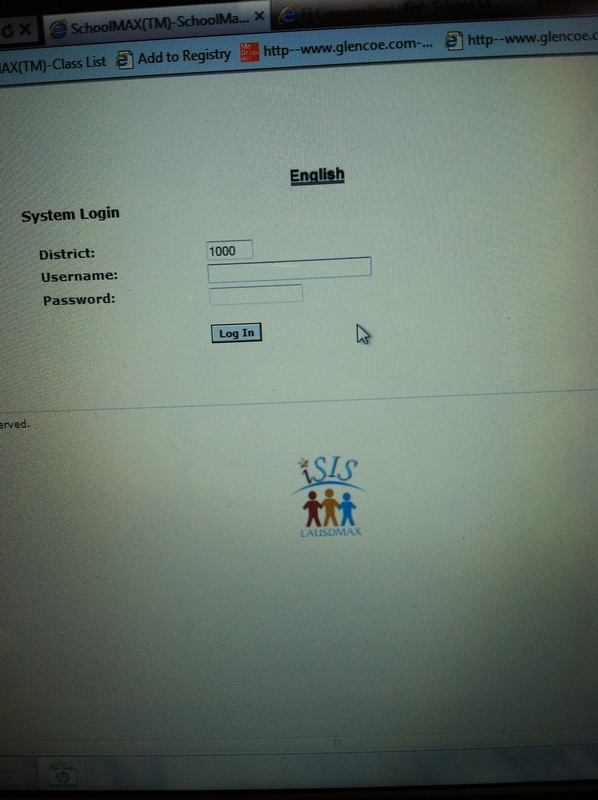 This screen stays on a tab on my browser all day so I can take roll and enter in grades. 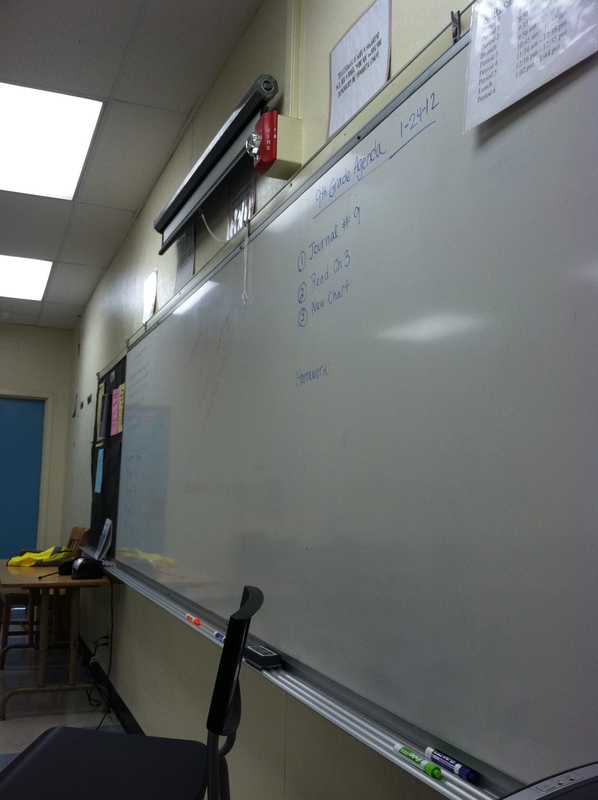 First period begins at 8:01am, but I always have students in my room well before that. 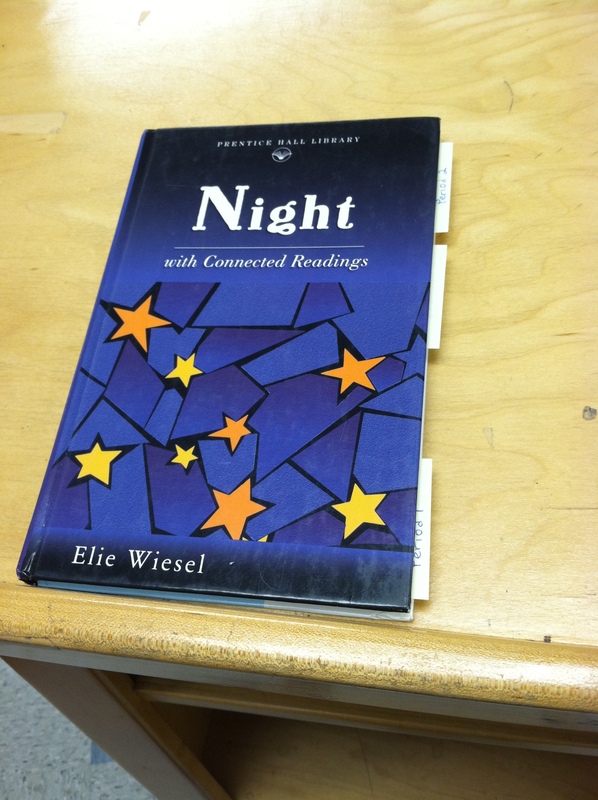 For my ninth grade classes, we’re reading Night by Elie Wiesel. Such a powerful book. 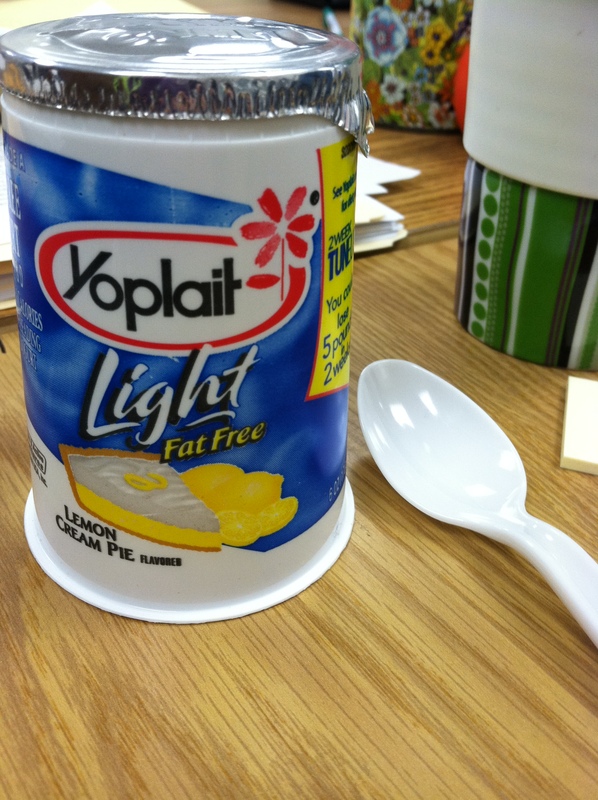 I always eat a snack during second period and today it’s my favorite yogurt. After second period is nutrition, so I have a little break. I stalk my registry and add a breathable bumper because a few people have told me it’s necessary. 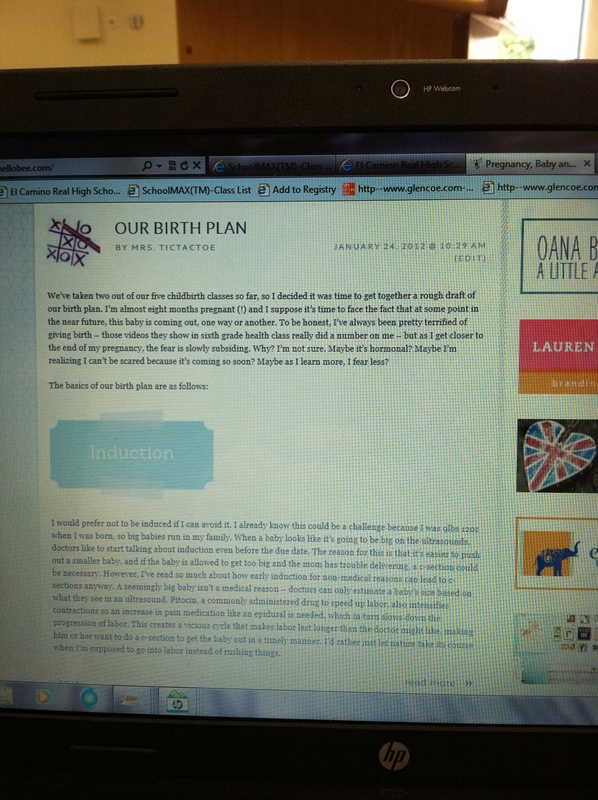 Then, I reply to some comments on my latest post on Hellobee, which today was Our Birth Plan. After nutrition, I have my conference period. This is a time to prepare, grade, email or call parents, turn in paperwork, or whatever else I need to do. 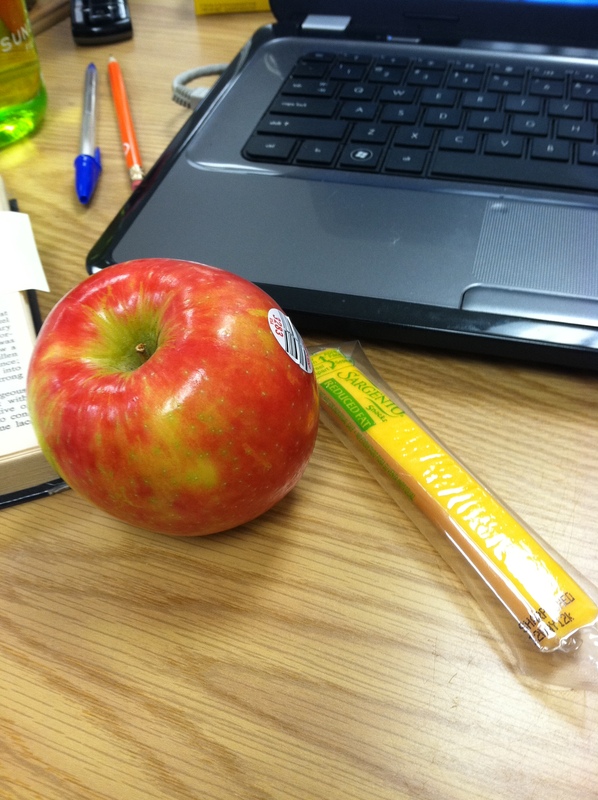 First, I eat another snack: honey crisp apple and low fat cheddar cheese stick. 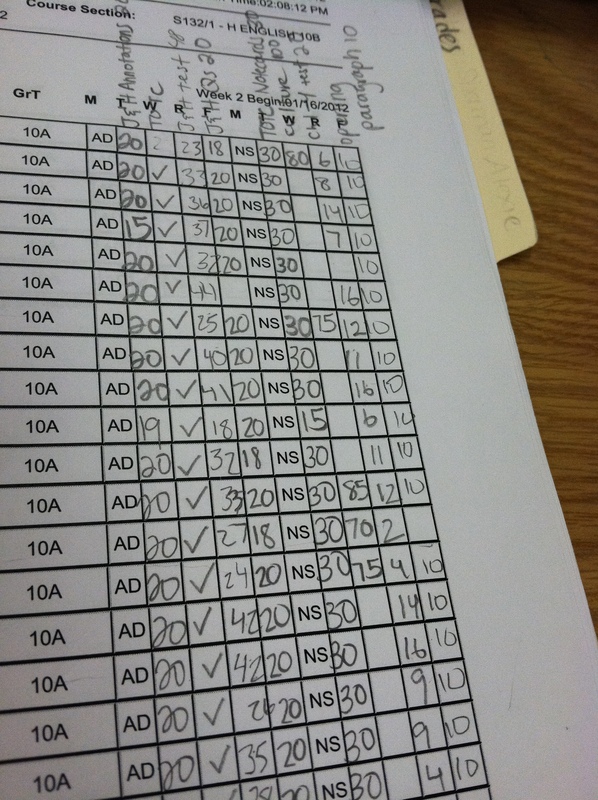 Then, I write a quiz for my 10th grade honors students. They’re reading A Tale of Two Cities by Dickens, which isn’t my favorite, but it’s required. Two more classes to teach, then it’s lunch time. 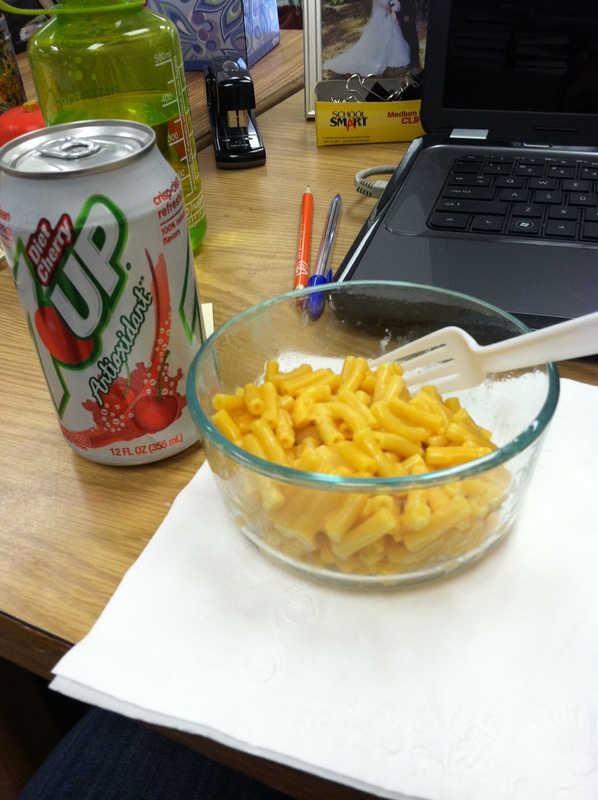 I have leftover mac n cheese and a diet cherry 7up. Healthy, right? I also have a few students in at lunch making up a test. I use part of lunch to enter grades into the computer. 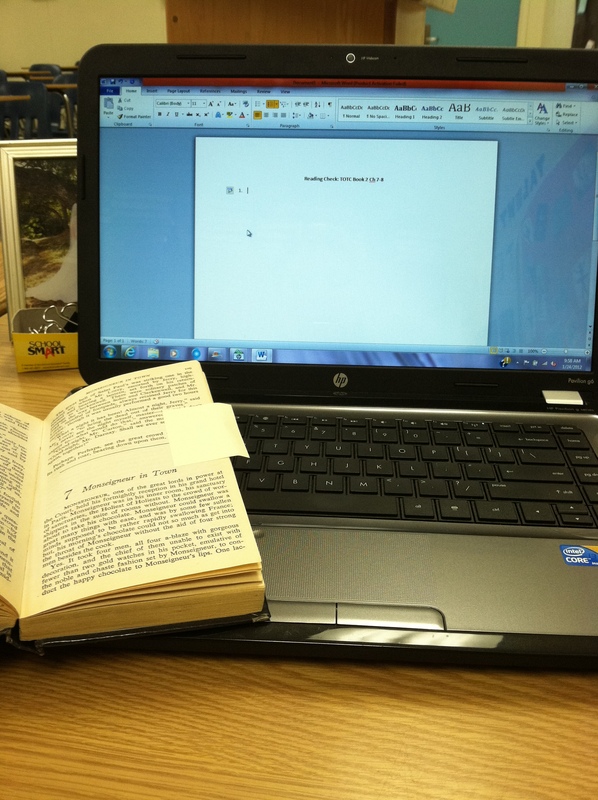 One more class to teach, then it’s time for professional development. I got permission to leave a little early due to my appointment with the perinatologist, so it wasn’t too bad. We affectionately refer to these meetings as teacher detention 😉 I leave work at 2:35pm and I’m home in about 10 minutes to meet my husband before we head to the appointment. I know about the podcasts, but I can’t plug my iphone into my car, so it’s hard to listen on the way to work. I don’t like wearing headphones while I’m driving. Plus, I like the snippets of currents news in the morning, as well. Love Teresa Strausser (sp?) as well! 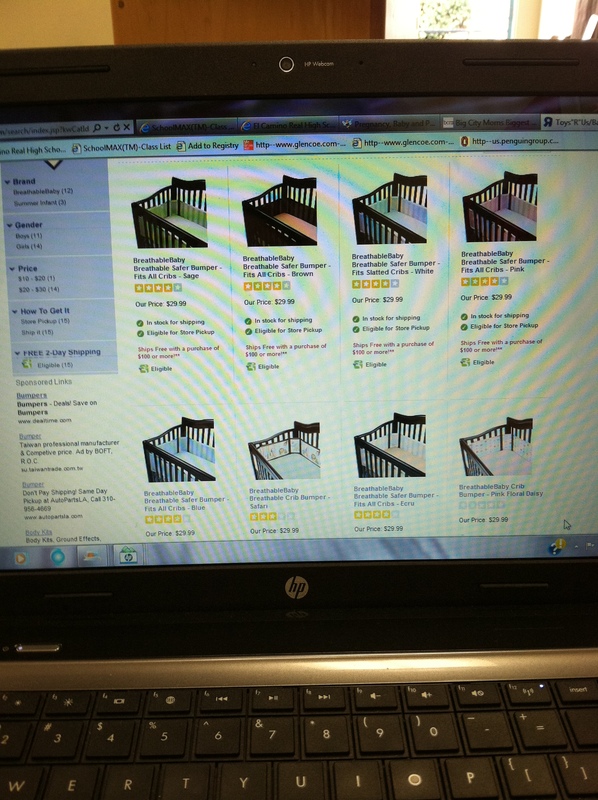 I’m just 3 days shy of 29 weeks pregnant and I have been looking up info on bumpers. Every health expert I read about and talk to says a definite NO to bumpers as well as breathable bumpers. They say they won’t do anything to really protect your child and if something isn’t a protection it shouldn’t be in the crib. Some mom’s in my network of mom friends have never used bumpers and have had no problems with babies hurting themselves in the cribs. I have found that the older generation (my mom and mother-in-law) can’t believe that I would even consider going without bumpers, but I’d rather not based on the opinion of the experts. So if I were you I might do some more research on the topic before putting the breathable bumpers in the crib with your child. As far as I know, the kind I registered for are considered ok by the AAP. I don’t plan on using it until I think I need it and I have heard lots of moms who currently have babies say they are useful to help keep arms and legs from going through the slats of the crib. But thanks for your concern!